Based in the West Malling office Iain obtained a Bachelors Degree in City and Regional Planning from the University of Wales, Cardiff in 2000 and a Diploma in Town Planning from the University of Wales, Cardiff in 2002. Previously employed at Gravesham Borough Council as a team leader within the Development Control team before working at Barton Willmore for 5 years, and most recently as a Principal Planner at AKA Planning. 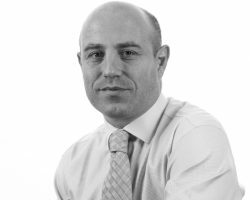 His work has involved submitting a variety of applications relating to large and small scale residential schemes as well as a mix of commercial developments. Iain particularly specialises in all aspects of retirement village and care applications, having been involved with several prestigious retirement schemes as well as a recent County Council divestment programme relating to redevelopment of their existing Care Home stock. Iain also has considerable experience of giving evidence at planning appeals in respect of residential and retirement schemes.